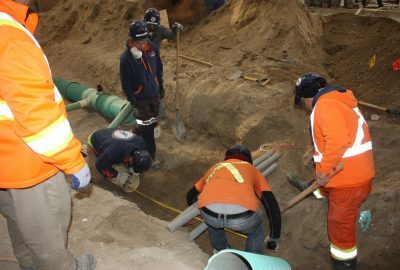 In this four week program offered by the LiUNA Local 183 Training Centre, trainees will be taught the industry standard techniques used to install sanitary drainage systems including traps and clean outs. They will also learn types of pipes and fittings needed to complete both sanitary and storm sewer systems. 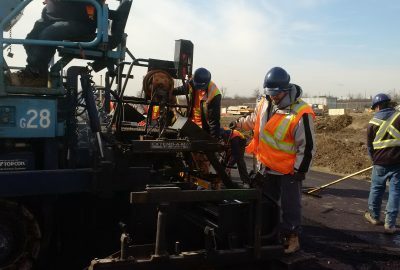 Trainees will practice steps for proper grading, concrete pouring and placement, as well as, cement finishing techniques. Work will also include forming of staircases, porches, sills and installation of reinforcement steel to strengthen concrete. Upon successful completion of this training, trainees can apply their skills in the Concrete and Drain Sector (Residential, High Rise and ICI) or anywhere drain pipe layers and concrete finishers are needed. 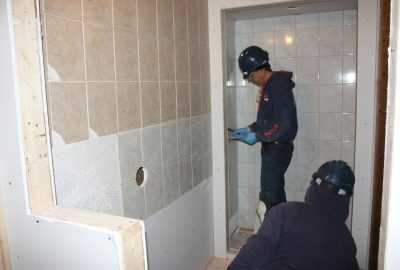 Trainees are taught the importance of health and safety on the job site throughout the program. Included in the program curriculum are a variety of health and safety courses such as W.H.M.I.S., Working at Heights, Traffic Control, Personal Protective Equipment, Standard First Aid and many more.